These days, Instagram has become an important part of many people’s lives and people share many images daily on the Facebook owned image sharing app. The app recently introduced Snapchat like stories to attract more users and similar to Snapchat, the Instagram stories are also available for 24 hours only. 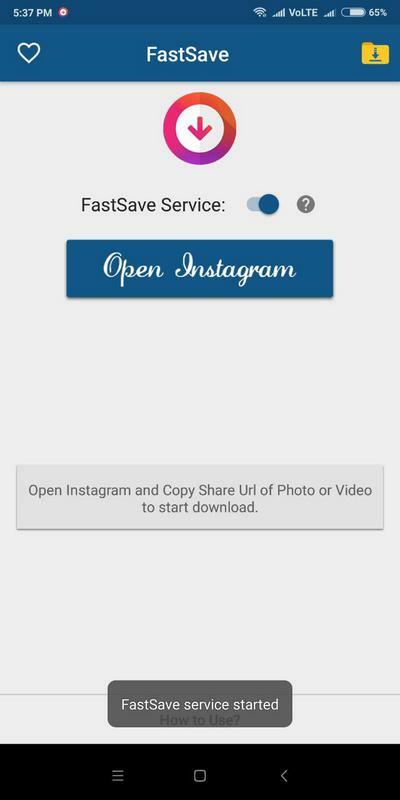 Your friends and family may post images on Instagram that you would like to save locally on your phone or computer but the app does not provide an option to do so. 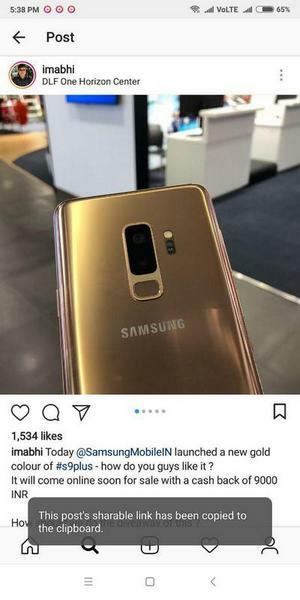 You have the option to take a screenshot and save it but the quality retention is bad and you may also have to crop the image. If you do not wish to screenshot the image, there are two ways to save the image. The first one requires you to install an app and in the second method, all you need to do is use a website. The first method requires you to download an app called FastSave from the Google Play Store. You can then use this app to download both images and videos on you app. It is very simple to use and takes just a few seconds to save the file. Download the FastSave app from the Google Play Store. 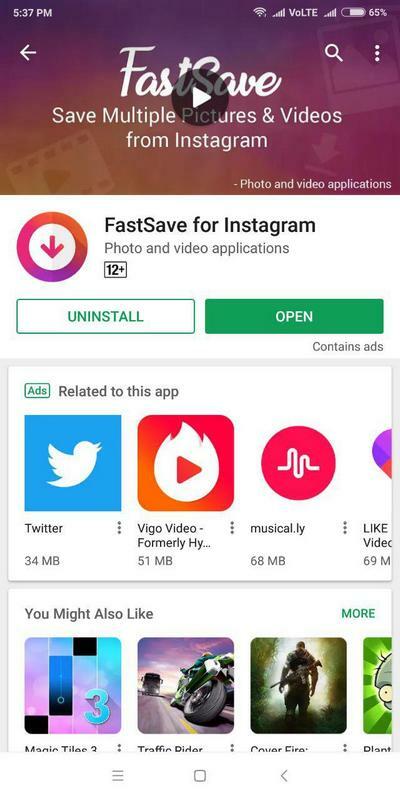 Once it has finished installing, launch the FastSave app. 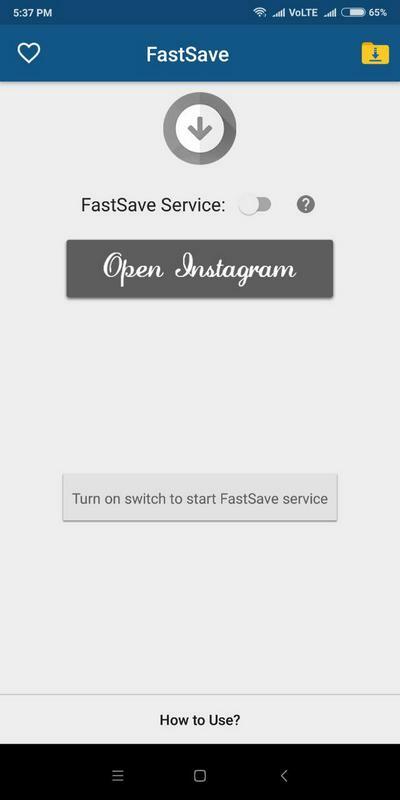 Turn on the FastSave Service toggle to start saving images from Instagram. Then, click on Open Instagram and go to the image that you wish to download. Then, click on the three dots menu at the top right corner of the image. Now, click on Copy link to save the image. 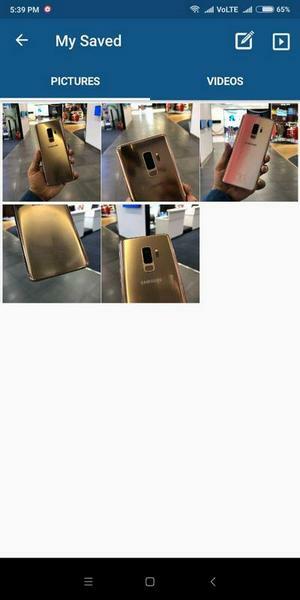 Once you click the link, the image will be saved in the app as well as your gallery. As we had clicked an image collection with multiple images, all the images in that collection were saved and can be viewed in the app as well as the gallery. 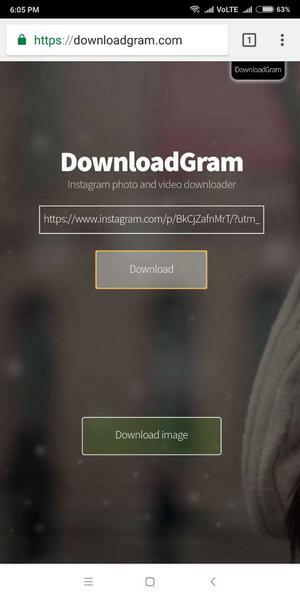 The second method involves using a website called DownloadGram. The app is easy to use and does not require any special permissions but some users may not prefer to install third party apps on their device. 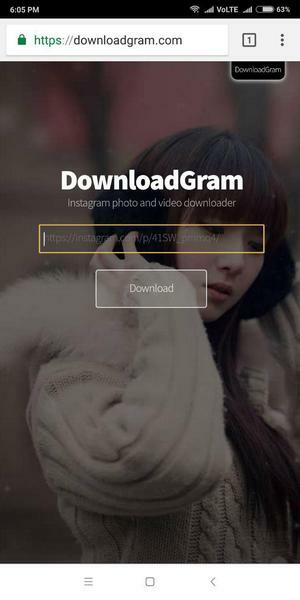 For such users, DownloadGram is a good option. 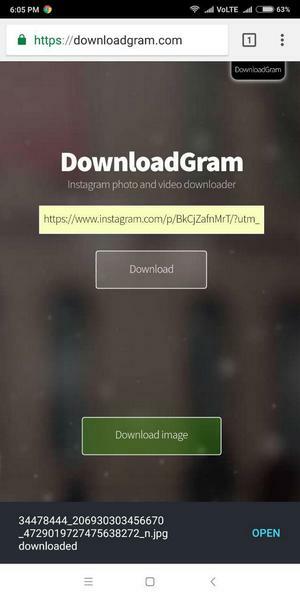 First, open Instagram and go to the image that you want to download. Now, click on the three dots menu at the top right corner of the image. Then, click on copy link. 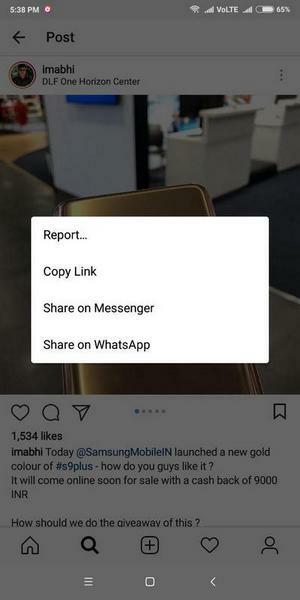 Then, paste the link that you have copied from instagram in the link section and click on Download. The image will be saved in your gallery. These are two ways using which you can save Instagram images on your mobile phone. If you want a simpler method and don’t might slight quality change, you always have the option of taking a screenshot.